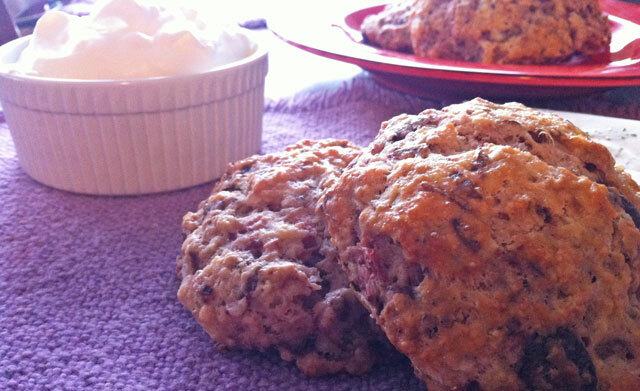 In the interest of Valentines Day I will make pink stuff like Strawberry chocolate coconut almond scones. Ok so I am going to be totally honest with you here, I really don’t DO Valentines Day, never really have, never really will. It’s not that I hate it, I don’t hate, I am not a hater. But I don’t hate it, nor do I like it either. I’m not into it, I’m not sure of all of the reasons why I’m not into it, but I am not. But I know you are, and many others are as well, so in that interest, because I have you in my best interest, I will make Valentines Day ideas for you to make this weekend for your loves ones. See here’s the thing. I have spent the last 10 or so years doing Valentines Day with my best friends. We watch movies, like any other night we hang out, eat, and that’s it. No bigs. So it’s a non holiday for me. I may buy my mom flowers, because I love her and it’s nice. But I do on the other hand like making people food and feel good stuff, so this is that. Feel good, pink, tasty Valentines Day recipes for you to make for someone you love and want to share stuff with. 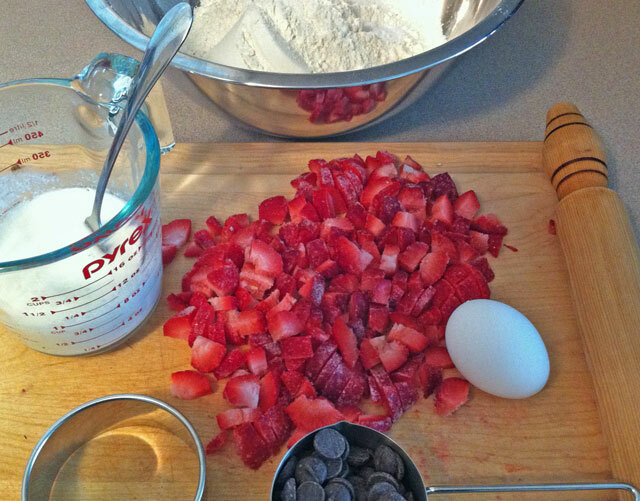 I am going with this Strawberry chocolate coconut almond scones because of it’s versatility. You can enjoy it in the morning with a cup of tea or coffee, perhaps in the afternoon with said tea or coffee, or in the evening for dessert. Make it into a dessert, simple on a plate with a dollop of whipped cream. That would be so cool, so I will do that, well I will do all of them, as to give you plenty of ideas in the interest of Valentines Day. I am so excited to do this because I know you like it, and that makes me happy. I am however a hopeful romantic, so I would or might love a scone, some tea, or coffee, perhaps a dollop of whipped cream, or jam for breakfast in bed anytime of the year. And if I were into Valentines day, that is what I would like. Keep the cheap chocolate, roses, and any form of red velvet far far away please. And thank you. To hopeful romantics all around the world who love breakfast in bed or something like that, this is for you. Not to mention, I am kinda still sick with a cold type thing, so my energy was not like usual, and these didn’t make me wanna go sleep. so they are easy breezy to make! This is adapted from Joy the Baker. egg wash: beat an egg with a tsp of milk, or buttermilk, set aside. 1. Preheat the oven to 350 to toast the almonds and coconut together on a sheet pan for about 10 minutes. But keep an eye on them, the coconut can go from golden brown to burnt in minutes. 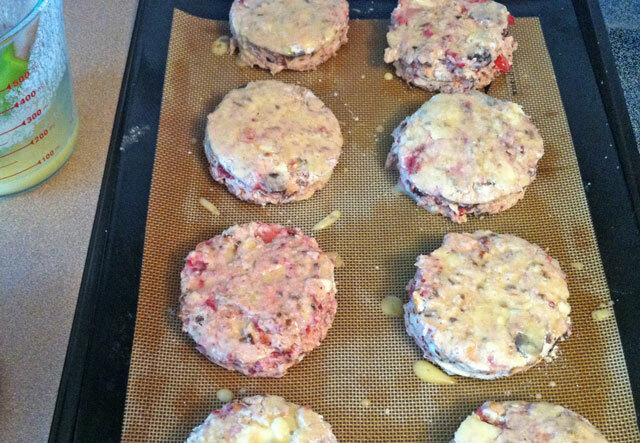 After they are toasty, remove, set aside, and turn the oven up to 400 degrees. 2. 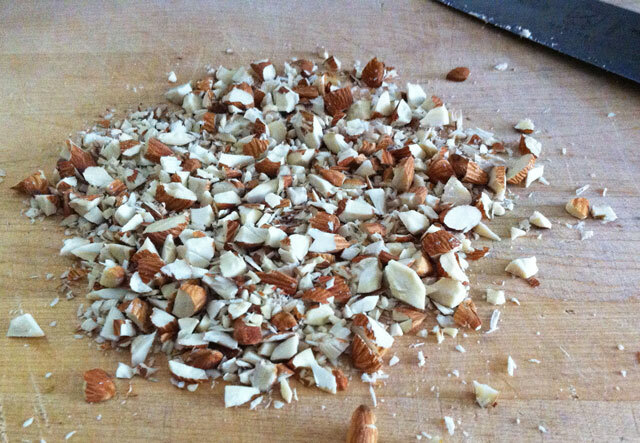 While the almonds and coconut are toasting, cut the butter into small pieces, and put in the fridge to keep very cold. Get the 3/4 cup of buttermilk and the egg whisked together and put that in the fridge to keep very cold too. 3. Put the flour, baking soda, baking powder, salt, and sugar in a big bowl. Set aside. 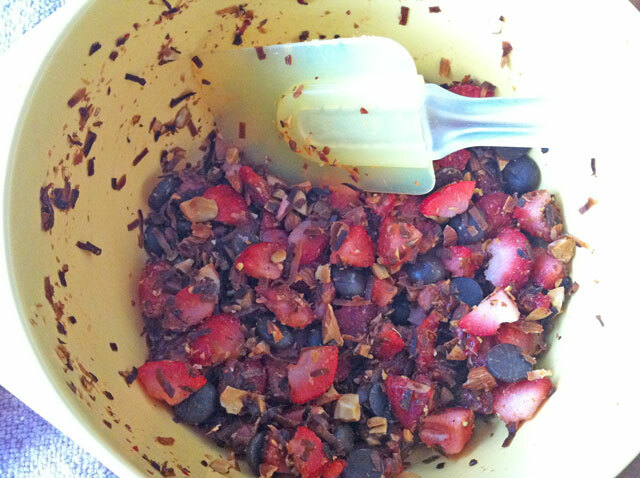 Chop up the strawberries, put in a bowl with the coconut, almonds, and chocolate chips. Mix it up. 4. Get your sheet pan ready lined with parchment paper or sil pat. Take the butter and buttermilk out of the fridge. 5. Put the butter in the bowl of flour and “cut” in using your fancy schmacy finger tools. Just get you fingers in there, work quickly, and crumble the butter into the flour. It will be perfect, it should have different sizes, but mostly pea size pieces. Set in fridge for a minute or two to keep cold. 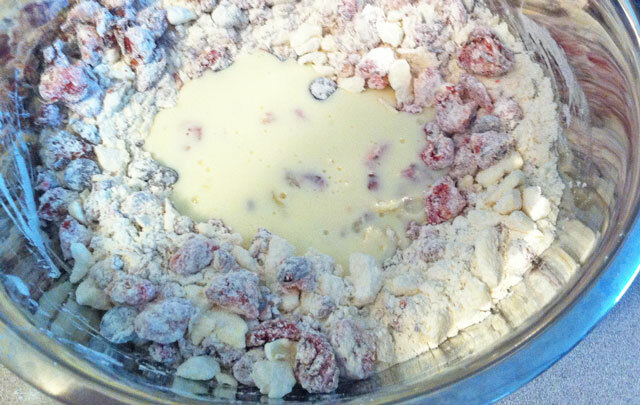 Take out and fold in the strawberry, coconut, almond chocolate chip mixture. 6. Now make a well in the center of your mixture and add the buttermilk. Use a fork to bring the wet to the dry ingredients, working somewhat quickly. But the super duper key thing here is… do not over mix. It does not need to be perfect. Over mixed scone dough turns into cakey muffin type thing, and that is not a scone, and it is not as good. ok.
7. 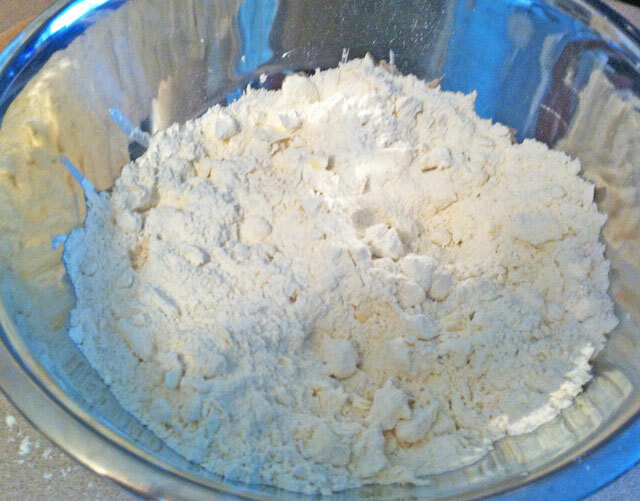 Lightly flour your counter and turn the dough out onto the counter. Put some flour on you hands, make a large disc with the dough about 1-1 1/2 inch thick. Take a biscuit cutter, a cup, a bowl, or anything that is about 2 inches in diameter, dust with flour and cut. 8. Place on your sheet pan an inch apart, brush with the egg wash, and sprinkle sugar on top. Bake for 15-20 minutes or until golden brown and delicious. Serve any which way you like. p.s. you are awesome for letting me know about your giveaway!